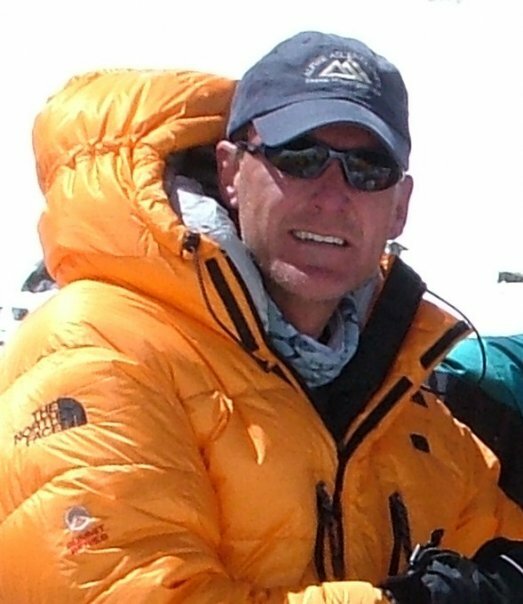 Jeff Dossett is the CEO of AdventureLink, the new adventure travel trip finder that's beginning to change how we research and book adventure travel. He's a former Microsoft guy, where he was MSN's executive producer and general manager, and also did a stint as a senior VP at Yahoo. But beyond his tech expertise, Dossett is an adventurer and tranformative thinker. He took up mountain climbing at age 40, climbed the Seven Summits (he's summited Everest twice) and has been transformed by his travels. I heard Jeff speak at the Adventure Travel World Summit in Quebec yesterday and caught up with him this morning at the conference, which is in full swing with 650 movers and shakers from the world of adventure travel. I was struck by a catchphrase you used yesterday in your speech, that it's "experiences, not stuff" that matters. Can you explain that a little more? My message is that it is life-enriching experiences — our most cherished memories, that define the richness of our lives; not status or material objects. Over the past couple of years of economic instability, we have witnessed the impermanence of so many things that we assumed would go on forever. We've seen large brand name corporations (such as financial institutions) and many local businesses simply cease to exist. Many have lost jobs, job scope, family homes, fancy cars and other items of material wealth in a highly disruptive recessionary period. The memories of life-enriching, personally transformative experiences are the only things that we can truly "own" forever. You said that we "should take unsettling change and turn it into opportunity." Can you give me an example of how you've done that? Change is truly the only constant — within and beyond the adventure travel industry. But whether change is associated with risk and undesirable consequences, or in fact an opportunity to adapt, innovate and prosper, is an explicit choice that we all can and should make. An environment of unsettling change is an opportunity to learn, adapt and innovate. Our business (AdventureLink) was created during the economic downturn. Where others saw only risk, we saw opportunity. We saw an opportunity to innovate and introduce a new model in the adventure travel industry. What was it about summiting Mt Everest that changed you? What was your epiphany? Well, that's a tough question to answer briefly. 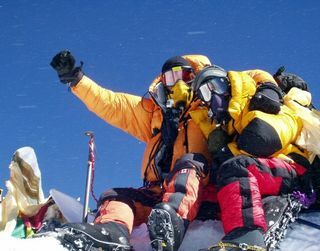 For me, reaching the summit of the highest peak on every continent (including Mount Everest in 2004 and 2008) was an incredible, life-changing experience. There is a powerful sense of personal growth and accomplishment that resulted from safe and successful summits after all of the training and preparation. I gained a greater understanding of our environment and the important role that the adventure travel industry and participants can play in promoting and funding responsible and sustainable travel experiences. On the summit of Everest, I was struck by a simple but powerful epiphany, that it was experiences and not "things" that define the richness of one's life. Ever since, I have focused my personal and professional time, energy and resources on enabling, empowering and enriching people's lives through the creation of compelling consumer experiences — both online and in real-life adventure travel. Can you explain, in brief, what you're trying to do with AdventureLink? AdventureLink provides adventure travel experience providers an opportunity to easily leverage their existing trip "content" beyond their own website. Once integrated into the AdventureLink marketplace, these trips are made accessible across the internet in a wide variety of contextually relevant consumer and travel professional experiences. Trip providers benefit from broader distribution of their trip products and services. Consumers (and the travel professionals who provide expert recommendations) benefit from a much wider array of options to best serve their adventure travel needs. An AdventureLink trip to Ireland. Will AdventureLink mean one-stop shopping for adventure travel — I assume that's the goal? Well, yes and no. AdventureLink is not a consumer 'portal' per se. We are not planning to spend tens of millions of dollars to attract people to our website. Instead, AdventureLink is a specialized global distribution and reservation system (GDS) serving the adventure travel industry. We enable and 'power" a massively scalable and highly-distributed marketplace for adventure travel. We want to make it easier for consumers and travel professionals to discover, compare, book and ultimately experience life-enriching adventure travel. We make it easy for a trip provider to have its products and services searchable and accessible in a wide variety of consumer and travel agent experiences across the internet. We want these trips to be discoverable and bookable in any and all web experiences in which adventure travel content and services exist — or should exist. In that sense, it's not about everyone coming to our site; we want to enable and enrich tens of thousands of adventure travel experiences on the internet thus reinforcing the trusted relationships that already exist between adventure travel consumers, their trusted content sources and travel professionals. How does social media fit into what AdventureLink is doing? Adventure travel in inherently social. People want to learn from other travelers and they want to capture, publish and share their experiences with others. Therefore, AdventureLink needs to be where existing and potential adventure travelers are online engaging in discussions about past, current or future travel experiences. This could be on Facebook, in Twitter or within emerging experiences such as relevant, aggregated social networking topic pages like Social Approach (e.g. http://socialapproach.com/adventure) as well as innovative services like Everlater (www.everlater.com) which make it easy for people to record, publish and share their trip experiences with friends, family or others interested in that genre of travel or the specific destination or activity. In fact, I would argue that the adventure travel industry needs to redefine its notion of an adventure travel experience beyond the confines of the departure and return date and engage more holistically in the entire life-cycle adventure travel experiences before, during and after that actual trip itself. 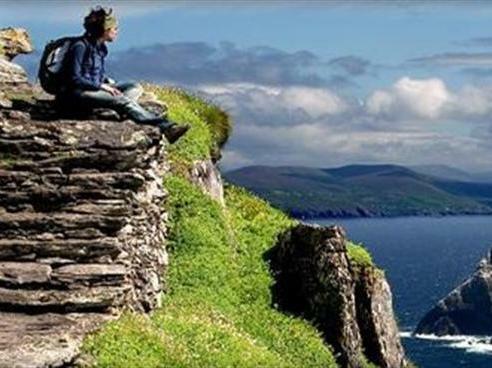 AdventureLink will enrich each of these experiences by integrating inspiring trip options to prospective travelers in all of these contextually relevant and social-media enhanced site experiences. As someone who has climbed the seven summits and traveled all over the world, what's next on your list of travel ambitions? Let's just say that my bucket list keeps getting longer every day as I engage more with the amazing trip providers from around the globe! I have an intense desire to define and complete some trips that are truly "off the beaten path" – perhaps first ascents of some of the many pristine mountains in Antarctica which I hope to return to soon. I'm also very passionate about Africa. I want to help shine a spotlight on those individuals and non-profit NGOs doing amazing work to help those living with HIV/AIDS in Africa. As part of that effort, I hope to create a series of trips to Africa that will not only celebrate its many physical and culturally-rich 'assets', but will also enable people to actually experience first-hand the need for more resources and innovative solutions to provide improved medical services for those living with HIV/AIDS throughout remote areas in Africa. When you're not traveling, what do you do in your downtime to recharge your batteries? I love to read accounts of the great adventure explorers and travelers — Shackleton, Robert Scott, Sir Edmund Hillary and Tenzing Norgay, Roald Amundsen, David Livingstone, Henry Morton Stanley and Mungo Park, among others.